Update 2 Dec 2018 - We have had previous FULL since 2009. We fly to Chengdu by Air Asia and then connect to domestic flight Chengdu-Lhasa. Flight below is based on today flight schedules and will be updated if there are changes. Register your interest early and let us know if you intend to extend a couple of days in Chengdu. Kindly email rachelheng123@gmail.com. Tibet Autonomous Region is located at the Southwest part of China, with a land area of 1.22 million sq km and a population of 2.3 millions, in which 95% are Tibetan nationality. 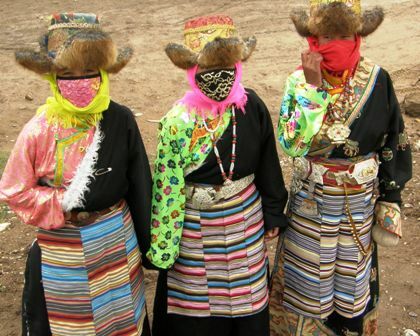 There are also 30 other nationalities in Tibet, such as Han, Menba, Luoba, Hui, Monggul, Naxi as well as Cheng and Sharba peoples. 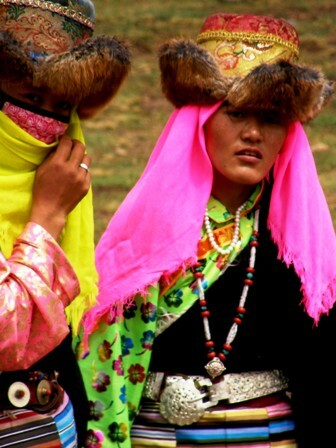 Tibet is the Qinghai-Tibetan Plateau proper, with an average landrise of 4,000 metres above the sea level. It is well-know as the Roof of the World and The Third Pole of the Globe. 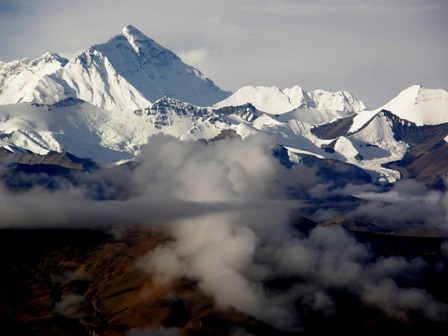 The world highest summit-Himalayan, which strides across the border between China and Nepal, claims a height of 8,848 metres above the sea level. Day 1 KLIA2-Chengdu: Meet at KLIA2 for flight D7320 to Chengdu at 0910AM arriving 1340PM. Free & Easy. Check in hotel. Overnight (ON) Chengdu. Day 2 Chengdu : Visit Qing chengshan & Dujiangyan. ON Chengdu. 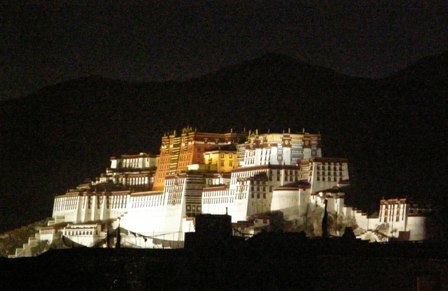 Day 5 Lhasa-Yamdrok-Gyantse: Today we will continue our journey to other places of Tibet. About hundred kilometers, you will appreciate the holy Lake of Yamdroktso Lake. Drive to historical city Gyantse. On the way, we can see the Karola Glacier Visit Pelkhor monastery for its famous Kumbum Pagoda . 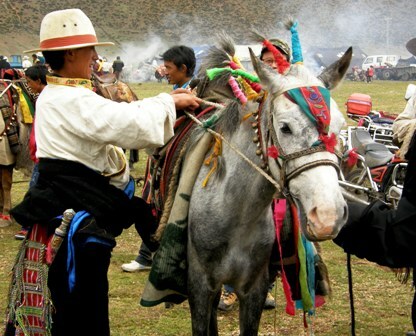 ON Gyantse. Day 6 Gyantse-Shigatse: On the way to Shigates have a mountain village family visit for a glimpse of everyday Tibetan life. 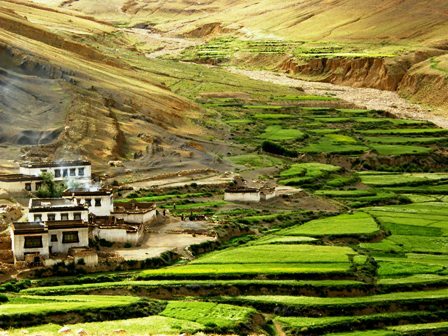 Drive to Shigates to visit Palcho monastery, this monastery famous that its remarkable feature accommondates the three sects of Tibetan Buddhism in one monastery coexisting in peace with each other. 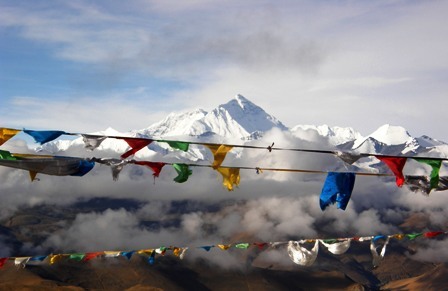 The Palcho Monastery is in coexistence of the three sects namely, the Sakya, the Kagyu and the Gelug. ON Shigatse. Day 7 Shigatse-Tingri: Drive to Tingri. Visit Sakya monastery on the way. ON Tingri. Day 8 Tingri-Mt Everest Base Camp-Tingri: After hours of driving we arrive at the highest monastery of the world, the Rongbuk monastery. Upon arrival, go to Mt. Everest Base Camp (5200m). You can appreciate the highest mountain in the world- Mt.Everest (8848m). Back to Tingri. ON Tingri. Day 9 Tingri -Shigatse: Drive to Shigates to visit Pachen Lama's seat palace, the great Tashilumpo monastery, a very big and complex monastery in Tibet. Back to Shigatse. ON Shigatse. 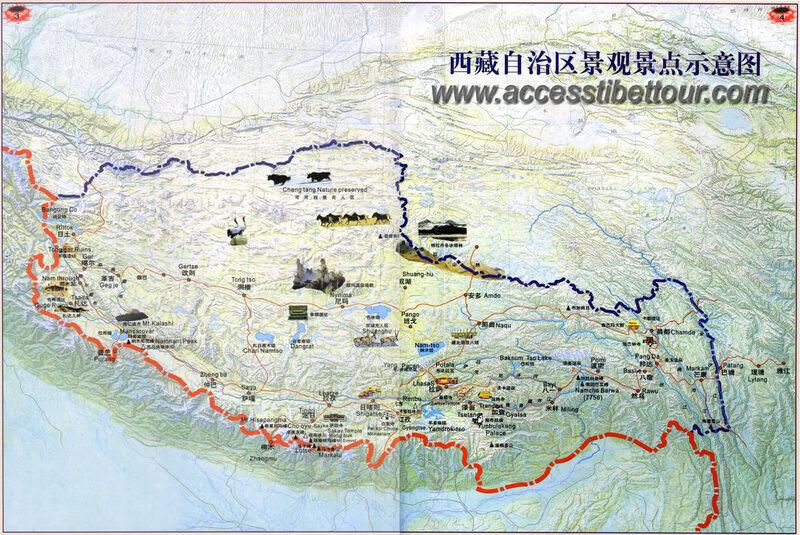 Day 10 Shigatse via Lhasa: This morning will leave to Shigatse which journey will take about 8-9 hrs. Drive back to Lhasa. ON Lhasa. 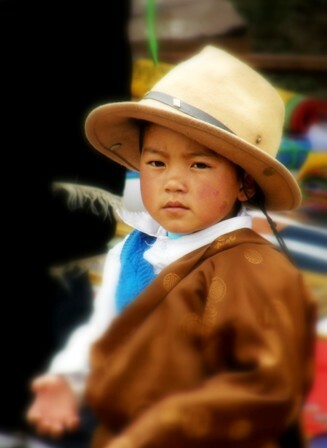 Day 11 Namtso Lake-Lhasa: . We will go further to the “ heaven lake”-Namtso lake, the highest lake in the world! It will take about 5 hrs (320km) to get there. 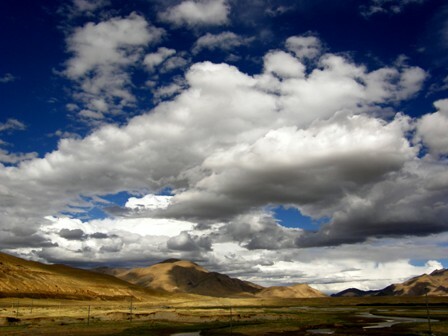 This scene is one of the most dramatic in Tibet and will give you a sense of the space that stretches out to the north. Namtso Lake in the Tibet Autonomous Region was selected as one of the five most beautiful lakes in China by Chinese National Geography magazine on 2005. Namtso Lake's touching beauty should not be missed by any traveler who visits Tibet. 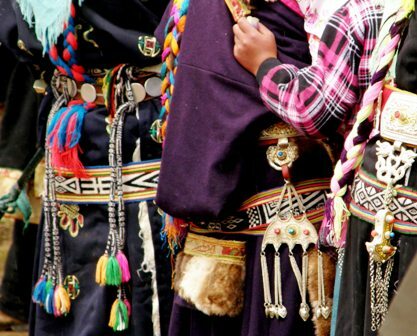 Its purity and solemnness are symbols of Qinghai-Tibet Platean. In Tibetan, Namtso means 'Heavenly Lake ” . The water here is a storybook crystal-clear blue. Clear skies join the surface of the lake in the distance, creating an integrated, scenic vista. 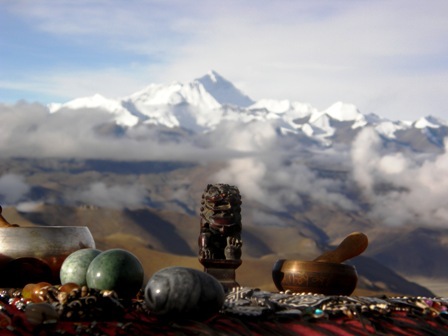 Besides the beautiful scenery in Namtso, it is also a famous sacred Buddhist place. We will back to Lhasa. 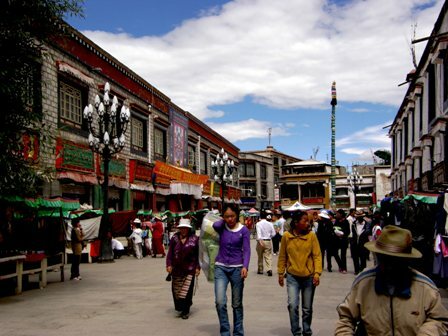 ON Lhasa. 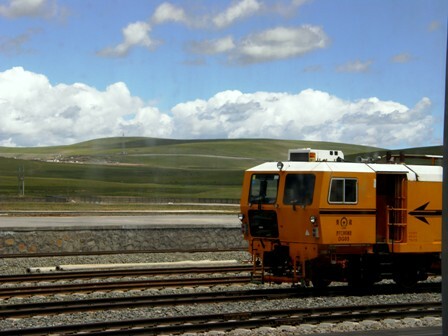 Day 12 Lhasa-Train: Morning 0820AM will leave to Railway station take train to Xining. 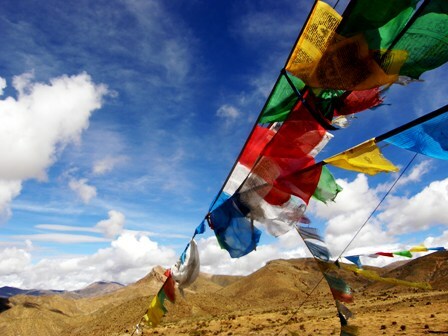 Enjoy the scenic scenery along the way to Lhasa. ON soft/hard sleeper Train. (Important note - Train ticket bookings is only available 5 DAYS BEFORE TRAVEL for Groups and Individuals alike. During peak travel period, it's a big problem buying the most comfortable soft-sleeper places. During slow months of May, July and September, chances are best. In the event, our Agent is not able to secure soft-sleepers, they will purchase hard-sleepers. The cost difference will be returned either in cash or credited to account back in Malaysia). Day 13 Flight Xining-Chengdu: Arrive Xining in the morning 0726AM. Local guide will meet the group and take group to airport for flight to Chengdu at 1035Am by 3U8988 XNN-CTU, arriving Chengdu 1205pm. ON Chengdu. Day 14 Chengdu-Fly Home : Free & Easy and final shopping in Chengdu. After that we will heading to airport take afternoon flight D7321 at 1455PM arriving KL at 1935PM. Cost cover two domestic airfares & taxes (Chengdu-Lhasa, Xining-Chengdu), Tibet permits, accommodation, transportation (bus & train), airport transfer and train ride (Lhasa-Xining). Accommodation will be in budget hotels and guesthouses. Local train ticket (soft/hard sleeper), Tibet Entry Permits, Administration & conservation fee of Mt Everest area, Potala Palace is covered. Not covered are Visa fees, Air Asia KL-Chengdu-KL fare & airport taxes, meals (Rm25-30 p/day), in-town taxis, and entrance fees (except Potala Palace). Note that entrance fees in China are high and expect to pay at least Rm400 for the numerous places we cover on this extensive itinerary. Guides/driver accompanying group do expect tips. Yongo encourages group members to be generous but should of course, commensurate with their level of service rendered.